MackieMade Paper Creations: Merry Christmas! Hi Mackie! I can see why this is one of your favorites, it's super cute! 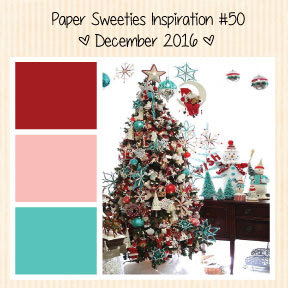 I am so blessed to be on the Design Team at Paper Sweeties, and look forward to being inspired by you all. I think you might be pasting an older version of the DT list (I'm showing up here as a GDT - boo hoo!) but I get it...it's a super busy time of year. Your cards are super cute, and I look forward to seeing more of your wonderful art. Hope you and your family are having a blessed day! 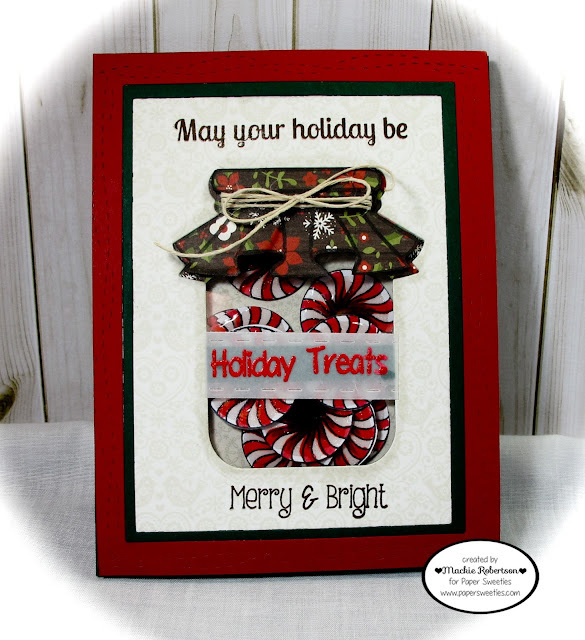 Love those peppermints in the jar!! They looks so real! I can see why you chose this as your fav to highlight! Awesome card, Mackie! Merry Christmas and Happy New Year!! Just love this! Those candies look so real... yummy! Love those peppermints, this is delightful Mackie. I hope you enjoyed a Merry Christmas! !